About Vijay Stambha, Architecture, History, Timings, Entry Fee, Attractions, Best Time to Visit, Accommodation, How To Reach, Intricate Carvings on Vijay Stambh. 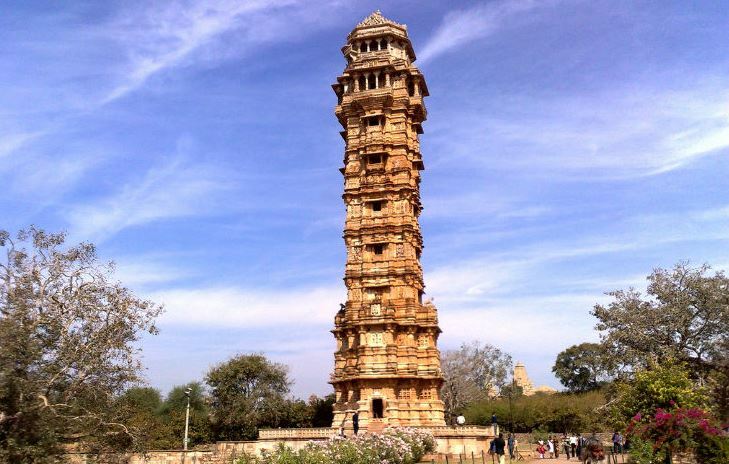 Vijay Stambha, also known as victory tower, is a piece of resistance of Chittorgarh. It was constructed by the king of Mewar, Rana Kumbha to celebrate his triumph over the combined forces of Malwa and Gujarat led by Mahmud Khilji, in 1448. The mighty tower was constructed between the period of 1458 and 1488 and is so tall and massive that it is visible from any part of the city. Hence, the entire town can be viewed from here. 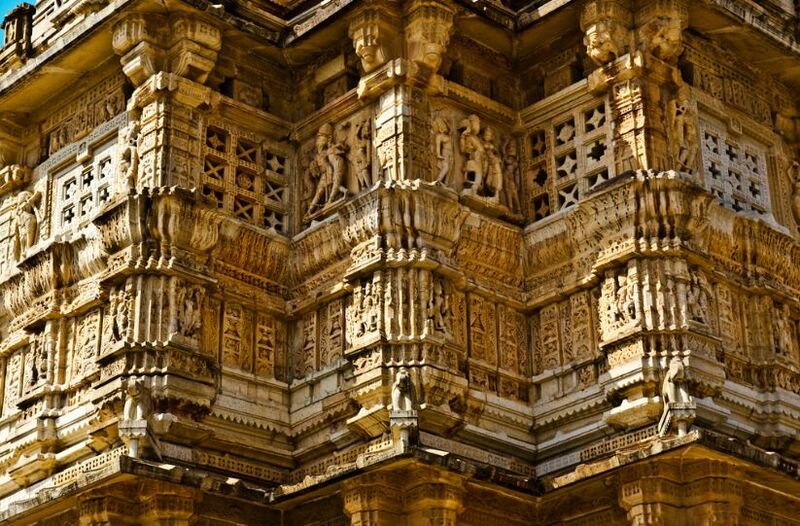 Vijay Stambh is a dedication to Lord Vishnu and has intricate carvings and sculptures of Hindu Gods and Goddesses. The internal part of the tower has carvings of weapons, musical instruments, and other tools used in that period. It is an excellent example of religious pluralism practised by the Rajputs. The highest storey consists of an image of the Jain Goddess, Padmavati. Also, the word Allah is carved nine times on the third storey and eight times on the eighth storey, all in Arabic. The magnificent tower is a piece of architecture that is frequented by tourists visiting the city and makes them feel proud of the vibrant history of the country. Constructed of red sandstone and white marble, Vijay Stambh has a balcony on every storey. The tower is nine storeys tall with a height of 37.19 meters and a base height of 3.0 meters. One has to climb 157 steps to reach the top of the tower. Therefore, the top has a mesmerising view of the entire city. The area around the Vijay Stambh is littered with an impressive number of further remains, including a pair of monumental gateways and a number of florid temples, including the superbly decorated Samiddhesvara Temple, whose shrine houses an image of the trimurti, a composite, three-headed image of Shiva, Brahma and Vishnu. Several temples line the route, but the most impressive monument is Kirti Stambh. 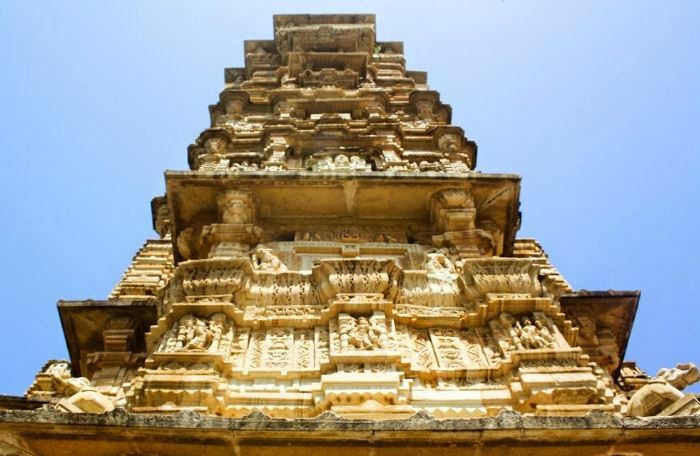 The inspiration for the tower of victory, this smaller Tower of Fame is 22 metre high and was built by a Jain merchant Jeeja Bhagerwala during the reign of Rawal Kumar Singh (1179-1191) for the glory of Jainism. The best time to visit the fort is from February to April and October to December as the climate is pleasant in these months. The weather is neither too hot nor too cold. The other months are either very cold or very hot. 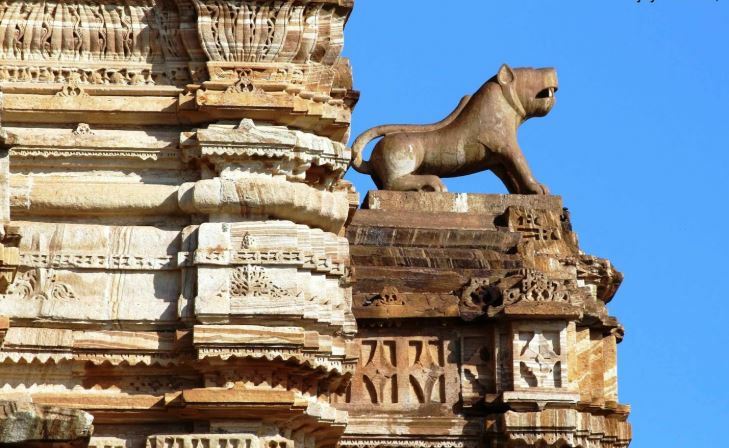 There are around 68 hotels in Chittorgarh which include inexpensive budget hotels to expensive four-star hotels. Tourists can stay in resorts and guest houses at cheap rates. People can get also stay in hotels nearby railway station and the fort. Chittorgarh does not have its airport but Dabok airport in Udaipur and Sanganer airport in Jaipur are nearest to Chittorgarh. Dabok airport is 70km away from Chittorgarh which is connected to Delhi, Jaipur, Jodhpur, Ahmedabad, and Mumbai. Sanganer airport is 300km away from Chittorgarh and is connected with many national and international cities. Chittorgarh is connected to major cities in India through rail which include Udaipur, Jaipur, Mumbai, Ahmedabad, Hyderabad, and others. Tourists can get direct trains to these places. There are no direct trains to cities like Lucknow but tourists can change trains from other stations that are connected with both Chittorgarh and Lucknow. Chittorgarh is connected to various cities though highways. Tourists can catch private and government buses in order to reach their destination. The bus stand is located in the middle of old and new city.